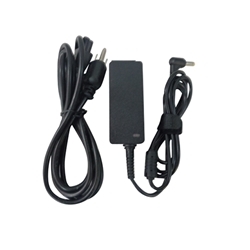 Description: New high quality aftermarket replacement ac adapter charger and power cord. Compatible Part #'s: Liteon PA-1300-04, Delta ADP-30JH B, Hipro HP-A0301R3, AP.03001.001, AP03001001, AP.03003.001, AP03003001, AP.0300A.001, AP0300A001, LC.ADT00.006. Acer Aspire 1410 (11.6"), 1410T, 1420P, 1425P, 1810T, 1810TZ, 1820PT, 1820PTZ, 1825PT, 1825PTZ. Acer Aspire One 531H, 721, 751, 751H, 752, A110, A150, D150, D210, D250, E100, KAV10, KAV60, P531, P531H, ZG5, ZA3, ZG8, ZH6.